It's the part of the 2018 NFL that Texans fans have been waiting for since that 20-17 overtime loss at Jerry World in 2014. The Texans vs the Arlington Cowchips. They are probably next to the Tennessee Traitors our most despised NFL rival. Because we aren't in the same conference, we only get to play them in the regular season every four years. 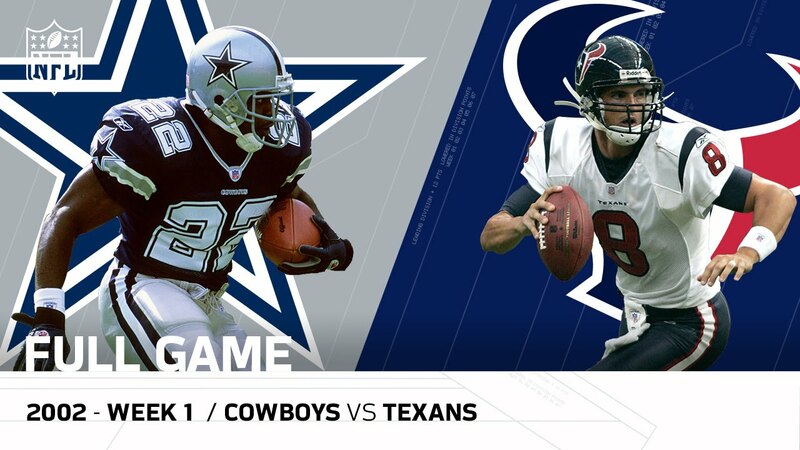 The Texans are only 1-3 versus the Cowboys, but the one win we have in the series was the most memorable one. It was in 2002, during the Texans inaugural NFL season, and they kicked off NFL play versus the Cowboys in a nationally televised game at Reliant (now NRG) Stadium. The expansion Texans stunned the Emmitt Smith led Cowboys by beating them 19-10 in front of a raucous sellout crowd. Now it's the QB's for both teams in Deshaun Watson vs Dak Prescott. Who's going to win this prime time Governor's Cup showdown? Keep reading to find out who I picked to do so. Week 4 in our season long prognostication contest ended in Mike's second consecutive weekly win, which has us tied going into the Week 5 games. I have got to get busy. It's another 15 games that the Bears and the Buccaneers will get to watch because it's their bye week. My picks will be in bold print with the home team in CAPS. Mike's Week 5 picks are here.